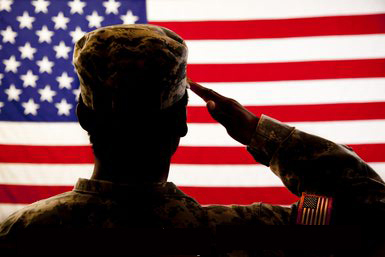 Veteran’s Day Celebrations, Events and Discounts! Colonial Williamsburg Military March – Sunday, November 11th from 2:30 – 3:00 pm – An afternoon march and ceremony honoring America’s veterans. The event features the Colonial Williamsburg Fifes and Drums, Military Programs Staff, and members of Williamsburg community veterans groups. A commemorative service behind the Courthouse will be held after the march. Virginia Living Museum $1 Day – Celebrate Virginia Living Museum’s birthday with $1 admission and special activities. Mariners Museum FREE for Active Duty and Retired Military, Veterans, and their immediate families. Join us as we commemorate this landmark day in American history. Enjoy costumed interpreters, in-gallery activities, and more! All activities included with FREE Museum admission to Active Duty and Retired Military, Veterans, and their immediate families. The Mariners’ Museum and Park salutes and thanks all of our Armed Service members! National Park Free Entrance Day – Sunday, November 11th – National Park Service sites that charge an entrance fee will offer free admission to everyone. Historic Jamestown is included, for a list click on link here. Fall Military Golf Invitational – Saturday and Sunday November 11 and 12, 2018 – Green Course Colonial Williamsburg – Popular with military members and friends, the tournament requires that the two-person amateur teams must have at least one active-duty, retired, or reserve military or National Guard member. Both rounds will be played on The Green Course. Flag Retirement Ceremony – Sunday, November 11th 10:00 am – 12:00 pm at Chippokes Plantation State Park. Veteran’s Day remembers those servicemen and women who fought for and protected our great country. Chippokes Plantation State Park will commemorate these brave individuals by conducting a flag retirement ceremony. Visitors who have American flags they wish to retire can bring them to the ceremony or may turn them in at the park’s Visitor Center any time leading up to the program on November 11. Colonial Williamsburg Sunday Brunch – Treat yourself to brunch at The Williamsburg Inn. They have something for every appetite from delicious fresh fruit and smoothies, to sugared donut holes, Southern Omelet, Pancakes and Thick Cut Bacon. Shirley Plantation – Sunday, November 11 – All active duty US Military, Veterans, their spouses and dependents will receive half off admission. The Great House will proudly display patriotic bunting and signed copies of Shirley’s book of Military History written by house Historian will be available at 20% off. York County Veterans Day Ceremony – Monday, November 12, at noon – “Letters from War” is the theme of the annual Veterans Day ceremony held in historic Yorktown. Throughout the service, excerpts from letters written during wartime deployment from local soldiers, sailors, and airmen to their families back home will be read. In addition to concentrating on some of these little known, unsung heroes who have served our country, the service includes tolling of the bell, presentation of the colors, singing of the National Anthem, the Pledge of Allegiance, and “Taps.” A special recognition of all Veterans of our Armed Forces is part of the program. York Hall, 301 Main St., Yorktown. Visit Historic Jamestowne for FREE, as we commemorate Veteran’s Day! Did we miss an event? Let us know submit your event here. Yankee Candle – PANDORA is offering 25% off your total purchase to veterans and active military this Veterans Day weekend, November 8-12. Offer valid on all full priced items. Must show a Military ID to receive discount.